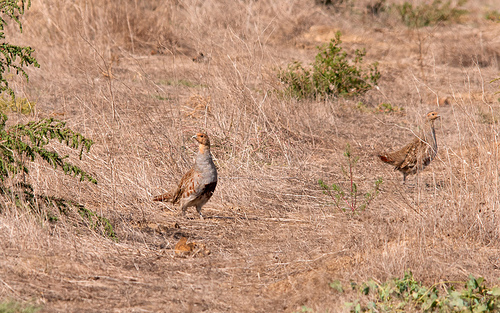 The Grey Partridge lives in small groups, for example in corn fields where sufficient food is available. It is a shy bird. In danger, it will want to remain invisible, rather then flying up. 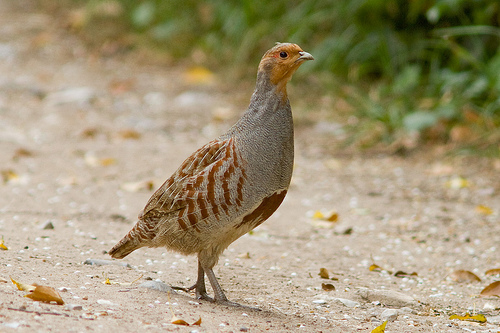 The Grey Partridge has a grey chest. The belly is also grey with a large, dark brown spot.